Formed in 1988 by Scott Carroll(Guitars), Mike Perun(Bass), and Bill Thurman(Vocals). 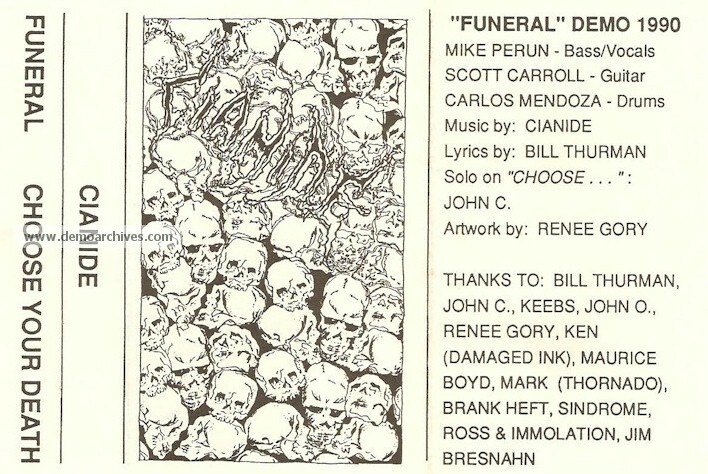 With the departure of Bill Thurman before the release of their first demo in 1990, CIANIDE aquired Calos Mendoza for drum duties and Mike Perun would take over vocals. 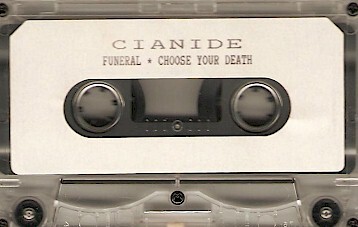 After the release of their first demo in 1990, CIANIDE acquired the help of long time friend Jeff Kabella for drum duties on this demo. This demo would land them a record deal with the Illinois label Grindcore International. This trio would go on to record the first two studio albums in the band's illustrious career. Professionally printed demo cover on thicker cardboard type paper. Recorded on the band's 4 track recording system at home. Tape itself was clear pro tape with pro printed white sticker and black print with the band name and song titles. No lyrics or pictures. Professional printed cover on glossy hard paper. Recorded at home on the same 4 track recording system as the first demo. 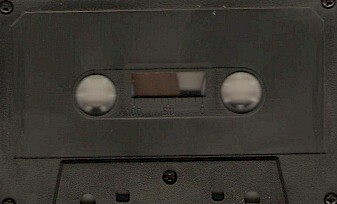 The tape itself was professional black tape without any print. No lyrics or photos accompanied the demo. Two sided photo copied cover with hand written lyrics and a poor print quality picture of the band on the inside cover. Black and white print. 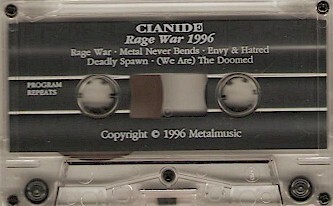 The tape itself was a Fuji 60 minute tape with hand written words "CIANIDE KILLS" on the tape label. 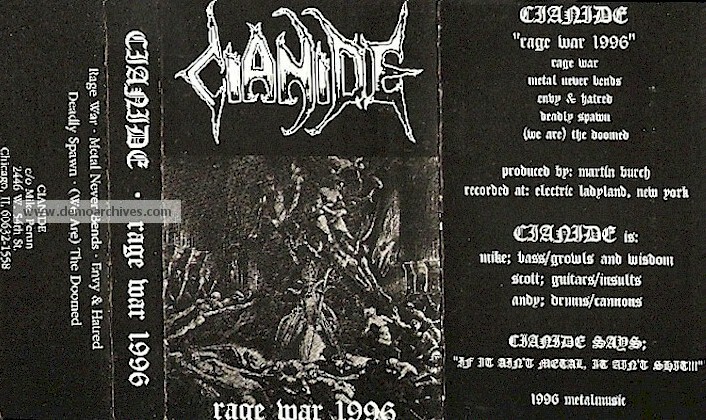 After the release of their first studio album, The Dying Truth, and the folding of the Grindcore International label, CIANIDE recorded this, their third, demo in 1992 with the same line up as the second demo and debut album. This demo would land them a record deal with the Illinois label Redlight.